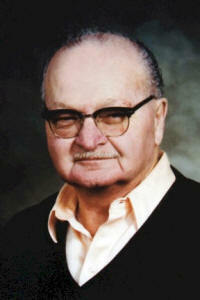 Albert Hoffman was a true Builder and supporter of sports in the Wetaskiwin Area. He is being inducted into the Wetaskiwin and County Sports Hall of Fame for the many volunteer hours he invested into the Wetaskiwin Curling Club and the Wetaskiwin Horseshoe Club. His unselfish dedication, his enthusiasm and his foresight were exemplary and are deserving of recognition. Albert was President of the Wetaskiwin Curling Club from 1969 to 1980. He was literally the face and name behind curling in Wetaskiwin for those years. His position would definitely include volunteer manager as he booked rentals, organized leagues and bonspiels and generally gave freely of his time to keep the facility running smoothly. He even had to install a second telephone line at his real estate office to help accommodate the heavy curling club workload. Albert guided the Wetaskiwin Curling Club through difficult years after the old curling rink building had a crippling fire in the early sevenites and he oversaw the completion of the new curling rink in 1978. 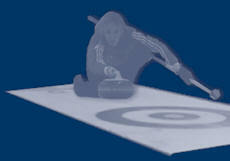 Albert had the foresight to lobby the City for an eight sheet rink rather than the previous six sheeter thus enabling Wetaskiwin to hold Provincial and other major curling events. He argued aggressively for the architects to change and increase their specs with regards to the ice surfaces and playing areas, thus providing a top class facility. He also debated with the Alberta Liquor Control Board over how much glassed viewer area was allowed. Their building code was very restricted and looking at the viewing area in the Curling Rink one can see how his hard work paid off. At a time when new curling rocks were very expensive and used ones almost impossible to find, Albert, at his own expense, purchased two sheets of curling rocks (32) from the closing Calgary Curling Club two years before the completion of our new rink. He was anticipating that we would get the new eight rather than six sheet curling rink and wanted to be prepared. He was paid back monetarily and with gratitude by the curling club when they realized his forethought. One of Albert’s most difficult and unenviable tasks was to contact and convince all of the shareholders of the Wetaskiwin Curling Association to relinquish their shares, turn all the assets of the Association over to the City of Wetaskiwin including the $68,000 sale of the old curling rink land and organize a new Society. As arduous a task as it was, the Wetaskiwin Curling Society and City of Wetaskiwin still benefit from this reorganization by way of grant funds and other benefits today. Albert was also founder of the Wetaskiwin Horseshoe Club. The organization was formed in 1977 with thirty-four members and he was President from that date until 1990. He received approval from the City of Wetaskiwin and built six horseshoe pits at the recreation grounds at his own expense. Members from both the City and the County of Wetaskiwin played weekly. He was pivotal in Wetaskiwin hosting it’s first and only Provincial Horseshoe Championships in 1984. Not only was Albert a promoter of the of the Horseshoe Club and Tournaments in the Wetaskiwin area, Albert was an accomplished competitor. He proudly won Bronze at the 1979 Alberta Summer Games in St. Albert, Gold at the 1981 Alberta Senior Games in Camrose and Silver at the 1985 Alberta Summer Games in Fort McMurray. His tournament wins throughout Alberta and winter home in Arizona were countless. Though not considered a “top” curler, Albert did accomplish and receive a rare and coveted Eight Ender Award in 1961. 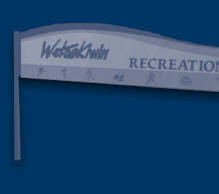 Albert Hoffman’s legacy enriches Wetaskiwin’s sporting community today and in the future. We applaud his efforts and his contributions and are pleased to induct him into Wetaskiwin and County Sports Hall of Fame.